1. Zheng Y, Ley SH, Hu FB. (2018). Global aetiology and epidemiology of type 2 diabetes mellitus and its complications. Nat Rev Endocrinol. 2018 Feb; 14(2): 88-98. doi: 10.1038/nrendo.2017.151. 2. International Diabetes Federation. (2017). IDF Diabetes Atlas, English Edition 2017. International Diabetes Federation, 2017. Brussels, Belgium. Available at: https://www.idf.org/e-library/epidemiology-research/diabetes-atlas/134-idf-diabetes-atlas-8th-edition.html Last assessed on 2018-07-17. 3. 中华医学会糖尿病学分会. (2018). 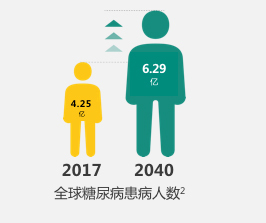 中国 2 型糖尿病防治指南(2017 年版). 中华糖尿病杂志, 2018; 10(1): 4-67. doi: 10.3760/cma.j.issn.1674-5809.2018.01.003. 4. Tahrani AA, Barnett AH, Bailey CJ. (2016). Pharmacology and therapeutic implications of current drugs for type 2 diabetes mellitus. Nat Rev Endocrinol. 2016 Oct; 12(10): 566-92. doi: 10.1038/nrendo.2016.86. 5. SILVIO E, RICHARD M, RICHARD M, et al. Management of Hyperglycemia in Type 2 Diabetes: A Patient-Centered Approach. DIABETES CARE. 2012. 6. 冯波. (2015). 糖尿病患者的用药依从性和糖代谢状况. 中华糖尿病杂志, 2015; 7(9): 590-592. doi: 10.3760/cma.j.issn.1674-5809.2015.09.016. 7. Abdul-Ghani M, Ralph A. 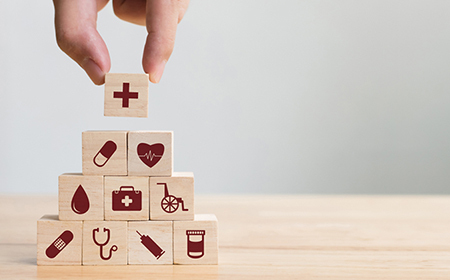 Is It Time to Change the Type 2 Diabetes Treatment Paradigm? Yes! GLP-1 RAs Should Replace Metformin in the Type 2 Diabetes Algorithm. Diabetes Care. 2017 Aug; 40(8): 1121-1127. 8. Jia X, Alam M, Ye Y, et al. 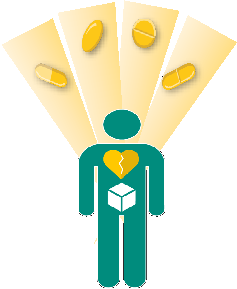 GLP-1 Receptor Agonists and Cardiovascular Disease: a Meta-Analysis of Recent Cardiac Outcome Trials . Cardiovasc Drugs Ther. 2018; 32(1): 65-72. 9. Nauck MA, HEIMESAAT MM, BEHLE K, et al. 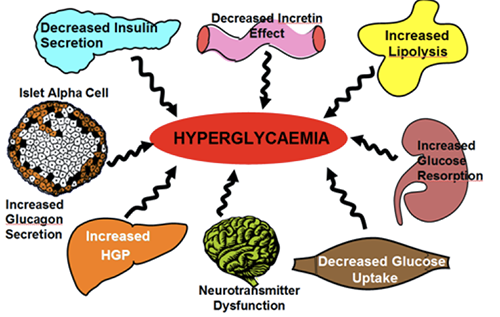 Effects of Glucagon-Like Peptide 1 on Counterregulatory Hormone Responses, Cognitive Functions, and Insulin Secretion during Hyperinsulinemic, Stepped Hypoglycemic Clamp Experiments in Healthy Volunteers. J Clin Endocrinol Metab. 2002;87(3):1239-46. 10. Zaccardi F, Htike ZZ, Webb DR et al. Benefits and Harms of Once-Weekly Glucagon-like Peptide-1 Receptor Agonist Treatments. Annals of Internal Medicine. 2016;164(2):102-13. 11. 纪立农, 邹大进, 洪天配, et al. (2018). GLP-1 受体激动剂临床应用专家指导意见. 中华糖尿尿病杂志, 2018, 26(5): 353-361. doi: 10.3969/j.issn.1006-6187.2018.05.001. 12. Meier JJ. (2012). GLP‐1 receptor agonists for individualized treatment of type 2 diabetes mellitus. Nat Rev Endocrinol. 2012 Dec; 8(12): 728-42. 13. Cherney DZ, Perkins BA, Soleymanlou N et al. Renal Hemodynamic Effect of Sodium-Glucose Cotransporter 2 Inhibition in Patients With Type 1 Diabetes Mellitus. Circulation. 2014; 129(5): 587-97.